There are a number of circumstances that can cause hair to frizz. Environmental factors such as humidity, lack of moisture in the hair, shampooing every day, very hot showers, overuse of heat styling tools, the list goes on… I must admit, I find it difficult to love my own hair when it’s unmanageable and out of control; therefore, using the right hair care products to tame the mane is a must! 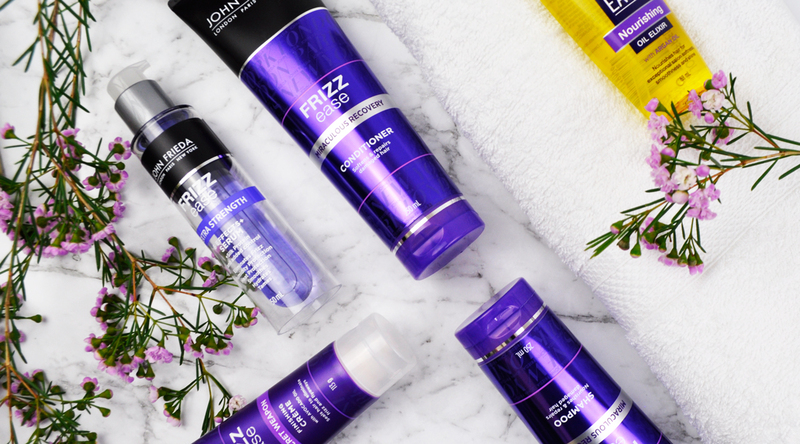 John Freida have relaunched their much loved cult favourite Frizz Ease range with an upgraded formula and new look. Frizz doesn’t stand a chance with these products that are designed to build frizz immunity, hydrate and restore curl definition, nourish and repair, eliminate frizz and protect from heat as well as finish all styles. These frizz fighting products have been working wonders in smoothing my hair, repairing and calming frizz as well as promoting healthy strands. Let’s take a look at what my current hair care routine looks like! My Hair type: Colour treated, dry, thick, wavy and frizz prone hair. Clean: I have been washing my hair 2-3 times a week using the Miraculous Recovery Shampoo and Conditioner. They’re infused with pure coconut oil and frizz immunity complex, which is designed to help combat the porosity of frizzy hair as well as rebuilding each strand for smoother results. Care: Towel Dry: 1 pump of the Frizz Ease Nourishing Oil Elixir is all I need, I work the product through wet or dry hair to smooth frizz and add shine. Blow Dry: I apply the Extra Strength 6 Effects + Serum to my soaking wet hair to eliminate frizz, repel humidity, it also offers full heat protection while heat styling. Style: The Secret Weapon Finishing Crème makes every day a good hair day! It instantly transforms dull hair into a smooth and shiny texture. Price (AUD) Miraculous Recovery Shampoo & Conditioner | RRP $15.99 Each – Nourishing Oil Elixir | RRP $16.99 – Extra Strength 6 Effects + Serum | RRP $16.99 – Secret Weapon Finishing Crème | RRP $16.99 – Visit the John Frieda website to find your nearest stockist. I need that secret weapon! John Frieda has always impressed me for the price. To fight frizz I’m currently using a Macadamia Professional treatment and I also LOVE the Matrix Exquisite Oil. I find that and Oil through my wet hair after I wash it keeps my hair soft and de-frizzed. I never come across this brand but they look so good! You made me want to try all of em! I’ve been loving these too, they have been leaving my hair feeling so good! 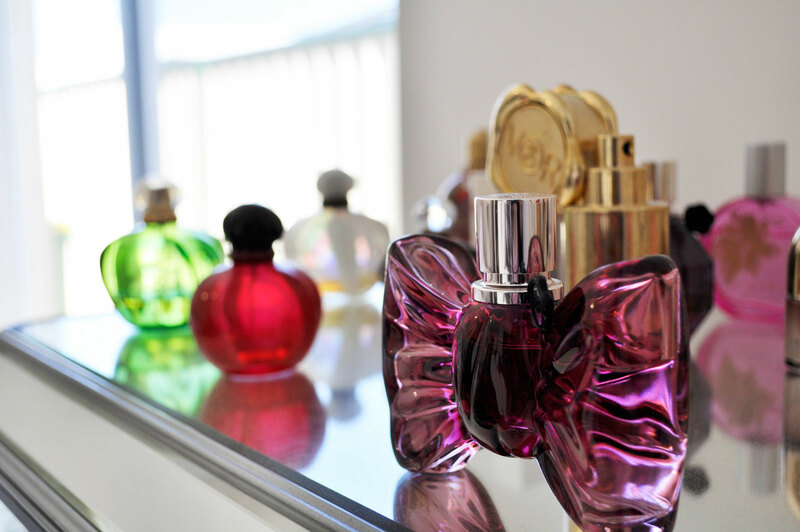 And I love the scent too! This looks like a great range, I have never tried John Frieda but heard a lot about this range. After reading your review, I am definitely going to check these out. I would love to try the oil first. John Frieda is literally the king of taming frizz! There are so many products to target all hair concerns. I feel like I’d really love the oil elixir, I’m really into hair oils at the moment!